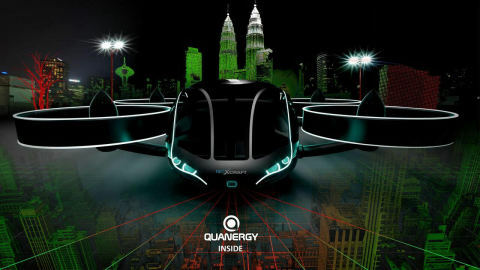 Quanergy Systems, a US-based smart sensing solution provider, has announced its partnership with VRCO, a UK-based startup who develops luxury high-end e-VTOL (electric Vertical Take-Off and Landing) crafts. They have reported that VRCO will exclusively use Quanergy’s S3 solid state LiDAR sensors in the testing and market release versions of its latest aircraft, the NeoXcraft XP2. VRCO and the University of Derby unveiled the NeoXcraft XP2, a two-passenger e-VTOL high-speed land, air, and water capable craft in late 2017 and intend to launch it in 2020. The craft can scan and memorize take-off locations and store the data when the craft intends to approach the same location again. Quanergy’s innovative S3 solid state LiDAR sensor will be used for downward and forward scanning to enhance the craft’s safety, providing the NeoXcraft with the ability to detect, sense, and avoid objects upon takeoff, approach and landing. “VRCO is pleased with the support from Quanergy, and the use of the S3 LiDAR sensor provides a new level of enhanced safety for the NeoXcraft,” said Michael Smith, chairman of VRCO.